After an injury, illness, or debilitating medical condition, a return to independent functioning is your top goal. Speech therapy Dyer can help you get there. 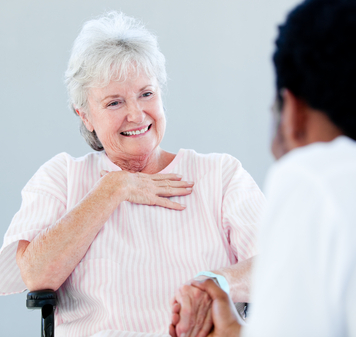 Speech therapy Dyer provides skilled treatment services addressing patient’s functional communication and cognitive skills enabling the patient to effectively communicate daily, physical and medical needs. Speech also addresses patient needs for improved swallowing function, diet modifications and patient/family education about safe swallowing strategies and guidelines. Our services include therapy for articulation disorders, fluency disorders, resonance or voice disorders including problems with pitch, volume or quality, dysphasia/oral feeding disorders, and language disorders- receptive and expressive. Our speech therapists have a wide range of backgrounds and experience in working with clients of all ages and of all abilities. They take pride in the successes of their patients, and are committed to helping each one find their voice.